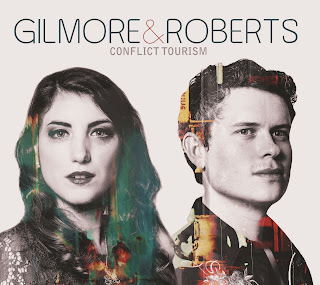 CONFLICT TOURISM may be one of the more interesting album titles of the year and it is to the credit of Kat Gilmore and Jamie Roberts that the substance of the record far outweighs the intrigue. The major award nominated duo have created their own niche in the wave of young folk artists adding a youthful vibrancy to the genre. This niche is set to become an entrenched anchor as the new album possesses an enormous depth of song writing superiority. This strong album is full of magical moments combining enthralling stories, highly crafted songs and a balanced delivery reaching across the purist divide. Apart from their established duo act, Kat and Jamie have professional music activities elsewhere and diving deep into the construction of this record will reveal a marked differentiation to each of their input. The writing of the eleven songs is credited to either artist with Jamie just edging the numerical advantage with six cuts and the general rule of thumb is that the writer leads the vocals. This gives the album a refreshing feel throughout its optimum forty-five minute duration, although collaboration via select harmonies and instrumental input is always present. An added joy to savouring the delights of this record has been absorbing the lyrical content and admiring how the knack of delivering the killer chorus has turned the project into an engaging listen. The Jamie-written ‘Time Soldiers On’ may be found deep into the listings, but it packs a powerful punch in terms of song structure combining a memorable chorus with a fantastic verse layout. 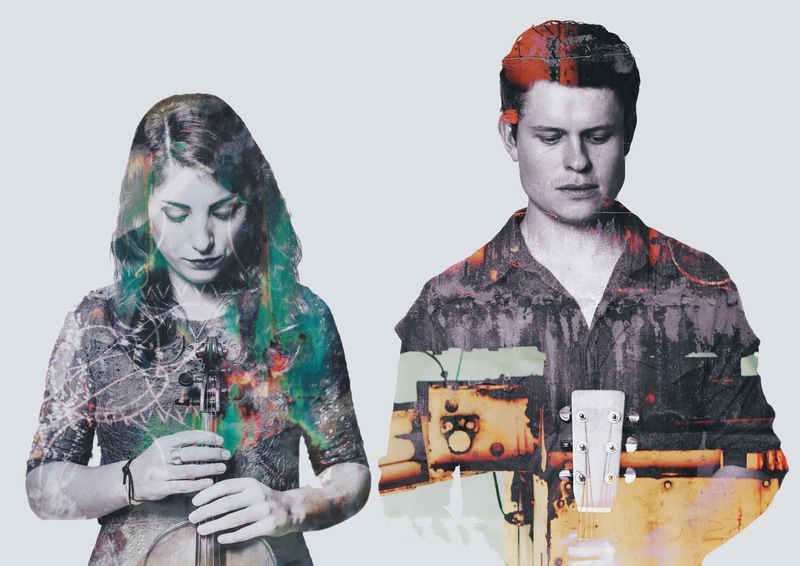 The topic of using the four seasons as a core may be a well-trodden route, but the striking use of first line repetition with near poetic effect makes this song standout alongside some emotive mandolin. Not to be outdone in the top song stakes, Kat excels with her number ‘Stumble on the Seam’ and its classic storytelling format. This song was previewed in their live shows last year and tells a tale of a desperate search for a hidden seam of mineral wealth with a gentle twist at the end. Kat is also the architect of the album’s thumping opening track ‘Cecilia’ which sets the scene accompanied by a Seth Lakeman-style beat. In contrast, the album closer – another Kat song titled ‘Ghost of a Ring’ - is tenderly delivered and mixes a sense of melancholy and loss with yet another high quality chorus. Jamie is also equally as capable in serving up a near slow motion piece with ‘Balance / Imbalance’ proving a curious listen as its contrasting lyrics reveal another emotive offering. A similar feel emanates from another Jamie composition in ‘Peter Pan’ which evolves into a dark view of premature mortality and fits neatly into the conflict theme of the title. Elsewhere Jamie proves that he too can deliver a folk stomper and ‘Jack O Lantern’ has all the traits of a classical structure amidst the interesting character being unveiled in the song.Traditional song style is also key to 'Peggy Airey' where Jamie explores a nineteenth century popular figure in his home town of Barnsley. Jamie’s final writing contribution is the superbly well-written ‘Selfish Man’ and a song analysing the effect of one’s behaviour on others. It’s back to the writing of Kat for the final two songs and ‘Warmonger’ most prominently features the duet side of the duo’s vocals, while once again providing a link in its lyrical subject to the album title. ‘She Doesn’t Like Silence’ is the track with the element of twang that will resonate in Americana circles, although this record has all the overall credentials of a staunch folk release. Anyhow putting genres aside for a moment, this beautifully sung and written sad song deals delicately with the onset of decline and demise. It also delivers a cutting line in ‘It might be a while till I’m myself again’ as the effects switch to the song’s narrator. By now you must be getting the message that this album is full of many delights, both hidden deep in the lyrical structure and more explicitly in the tones of the musical sound as well as the montage of fetching choruses. CONFLICT TOURISM is a proud release for Kat Gilmore and Jamie Roberts and can accept no finer praise than connecting with the listener from start to finish. It supremely reflects on their talents and acutely represents the health of the bright young folk scene.